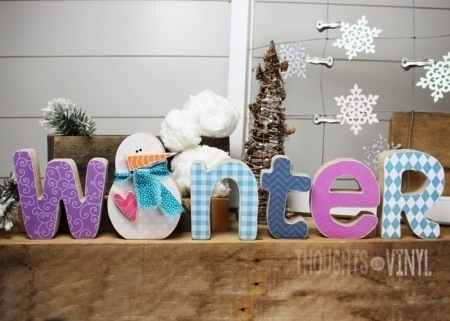 These darling wooden Winter letters come unfinished and ready for your creativity. 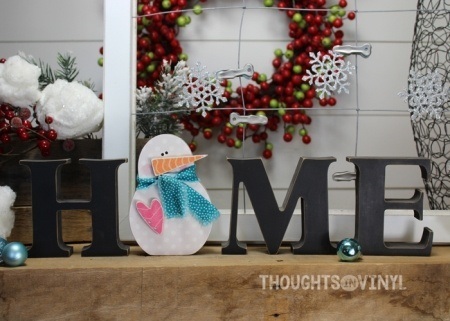 Dress your snowman up with a scarf and a heart (like pictured) by cutting a piece of fabric out to match your Winter decor and tie it around the snowmans neck and glue in place. Cut a heart out of some scrapbook paper and glue it in place. 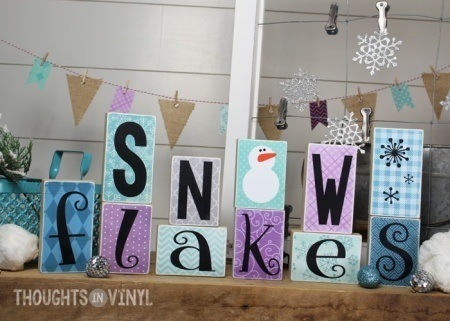 This gives your snowman some fun color...but he would be cute without the extras too. These would be so much fun to do with a group of friends! 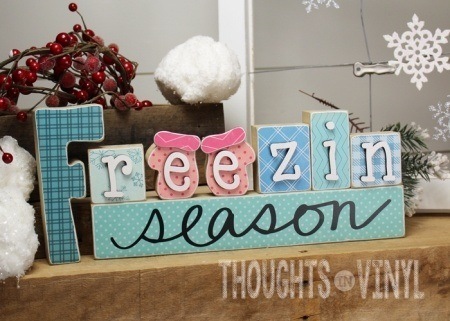 Overall size of the word WINTER is about 5 1/4" tall x 24" wide. The letters are 1 1/8" thick so they won't tip over.